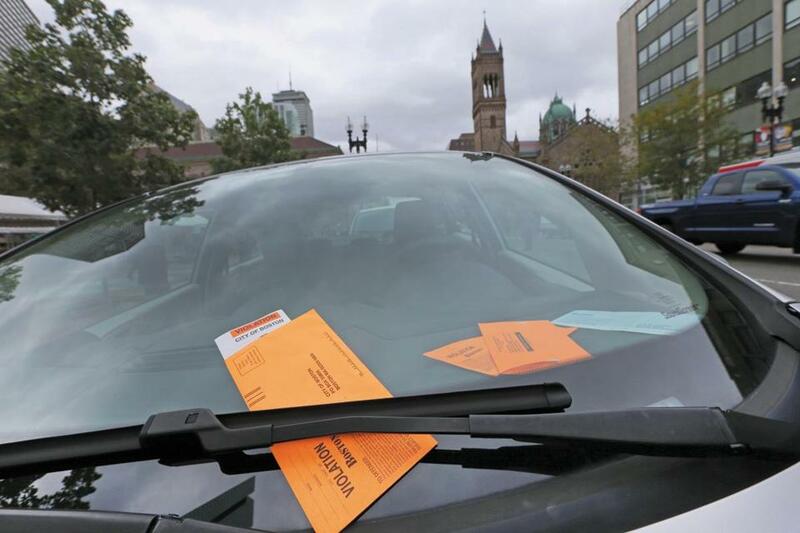 Mayor Martin J. Walsh probably won’t have much trouble getting the Boston City Council to approve his plan to raise parking fines. Most of the council members have told the Globe they will approve the fine increase, or are supportive of the idea but have not yet studied the specifics. The mayor wants to increase fines for certain infractions, some more than double current rates, to raise $5 million for several new transportation initiatives. The Walsh administration expects to use the money for street improvements, bicycle paths, and additional staff to work with the MBTA on dedicated bus lanes, and with ride-hail companies on designated pickup and drop-off spots. Among the proposed changes are higher penalties for double parking, to $75 in some neighborhoods and $55 in others, and charging $40 for an expired meter. The fine increase would require the council’s approval. Nine of 13 councilors responded to inquiries from the Globe: two said they will support the increases outright— at-large councilor Michelle Wu and Lydia Edwards of District 1. The others, while noting they expect to review the proposal in detail, indicated they are comfortable with increasing fines to pay for other transportation initiatives. “I think it makes a lot of sense,” said Matt O’Malley of District 6. “I support the increased funding for transportation,” said Andrea Campbell, the chamber’s president. “I look forward to the conversation, but think, generally, I support them,” added Annissa Essaibi George, an at-large councilor. Josh Zakim and Ayanna Pressley offered similar takes. District 5 Councilor Timothy McCarthy said he supports raising fines as a way of increasing parking turnover, which he said would be good for local businesses. Kim Janey of Roxbury said she strongly supports increasing transportation revenue, but has not yet decided whether parking tickets are the right way. The remaining councilors — Mark Ciommo, Ed Flynn, Frank Baker, and Michael Flaherty — did not respond to requests for comment. The council has not yet scheduled a hearing on the increase.